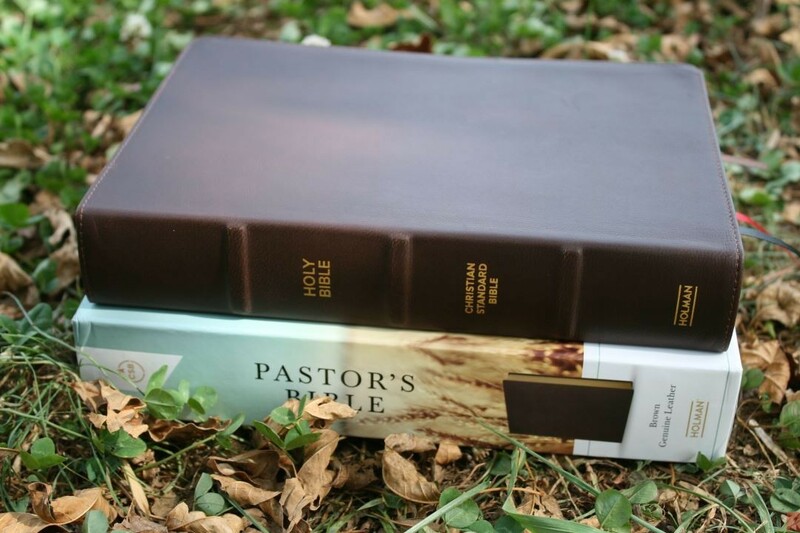 The pastor’s Bible had become a standard in Bible publishing. 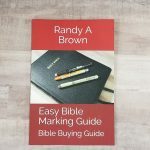 They typically provide helps and outlines for officiating events, and tools and articles concerning the duties of pastors and church leaders, providing ministers with a valuable resource to aid them in ministry. 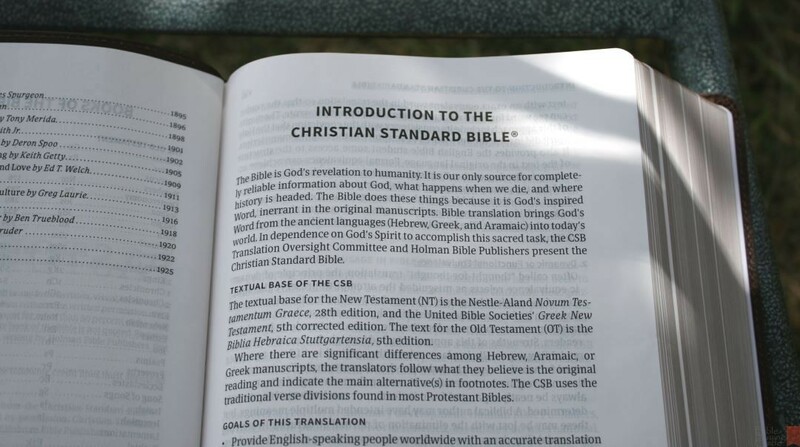 The CSB Pastor’s Bible from Holman is the newest pastor’s Bible on the market, in their recently released Christian Standard Bible translation. I’m reviewing the genuine leather edition, ISBN: 9781462766154 (made in China). 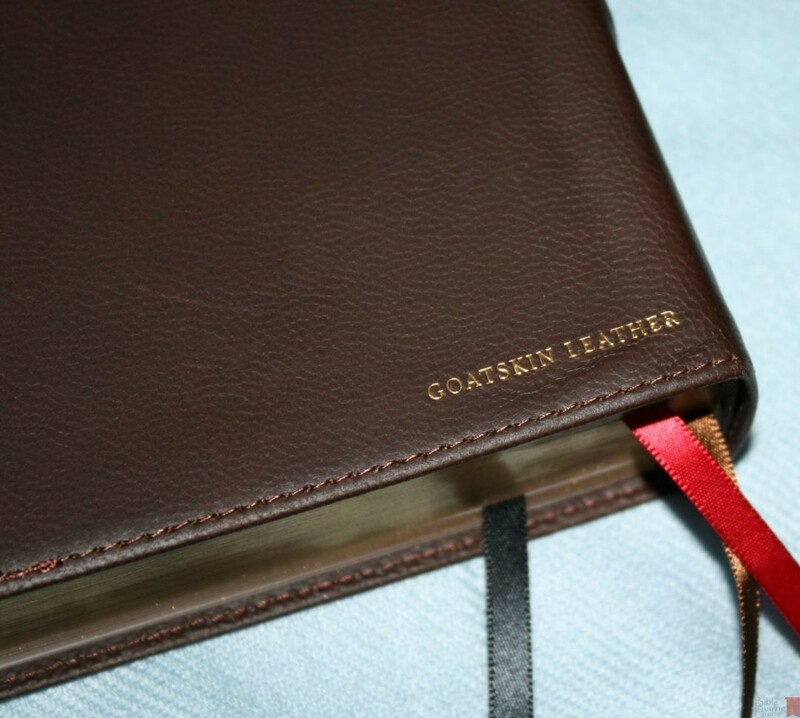 The box calls the cover genuine leather, however the words Goatskin Leather are printed on the back of the Bible. It’s dark brown and almost smooth to the touch, with just a slight texture. The grain looks pebbly. Nothing is printed on the front. 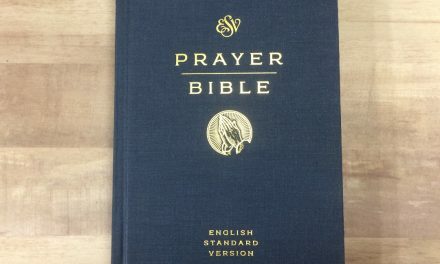 The spine has Holy Bible, Christian Standard Bible, and Holman printed in gold. It has 3 thick spine ribs. 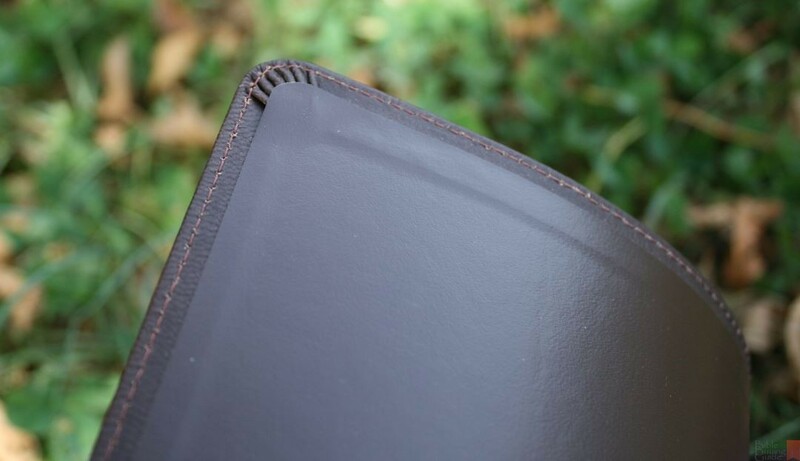 It has a vinyl paste-down liner and perimeter stitching all around. The text-block is Smyth sewn. 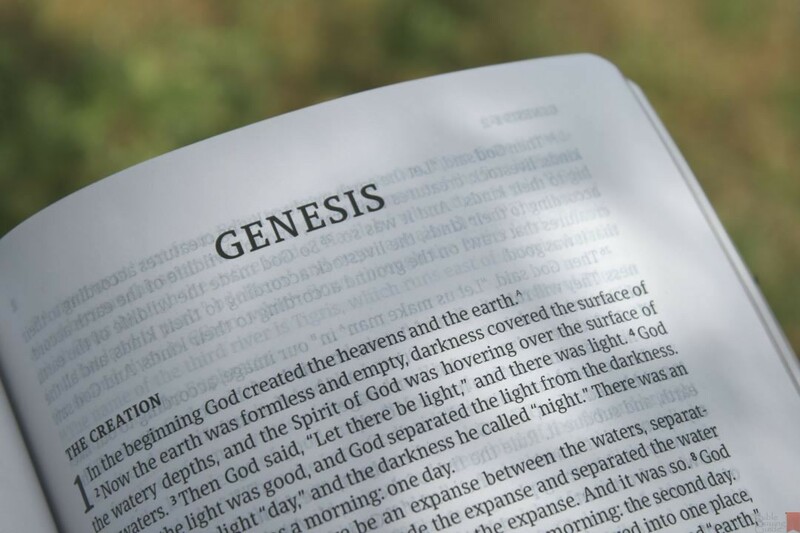 It lies open in Genesis with no problems right out of the box. The overall size is 9 5/8 x 6 9/16 x 1 1/2″. It includes three 5mm ribbons in black, brown, and red. I love the look of this cover. I think it could use a tiny bit more yapp. That’s not a complaint though. That’s just my preference. The paper is thin, but I’m not sure of the gsm. It does have show-through, but it isn’t that bad – especially considering how thin the paper is. The show-through is more noticeable in the poetic settings. It’s white in color and has no glare even under direct light. Even though the paper is thin, it has a rough enough texture that I can rub the pages together to separate and turn them easily. I haven’t written in it, but it doesn’t seem like the kind of paper I would want to highlight. I recommend trying a page in the back first. It has shiny gold gilted edges. It has 1980 pages. The text is presented in single column paragraph format. Poetry is set in stanzas. OT quotes are in a slightly bolder font. Lists are displayed as tables. Letters, such as those in Ezra, are indented. Section headings are bold in all caps. The header includes the book name and chapter number in the outer margin and the page number in the inner margin. Footnotes are placed in the footer. The font is Bible Serif from 2K/Denmark. It’s 10-point with a comfortable leading. With my typography scale is actually reads slightly larger than 10 point. It is black-letter. The font is dark, just like I like it. It isn’t overly bold so that it would hurt your eyes, but it’s bold enough to read comfortably even in low light. The only distractions in the text are verse numbers (which are slightly bold and easy enough to find) and footnote keys (which are tiny and easy to ignore). It has around 78 characters across with around 14-16 words per line and around 44 lines per page (although that will vary depending on the number of footnotes the pages has). The text never feels crowd or squished. 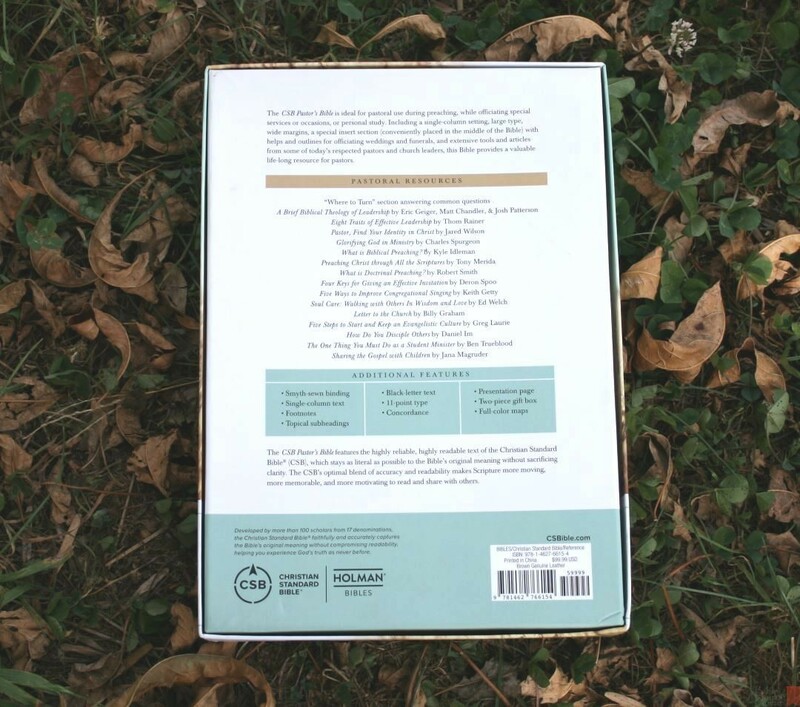 It’s printed with line-matching (the text on both sides of the page line up with each other to improve readability). 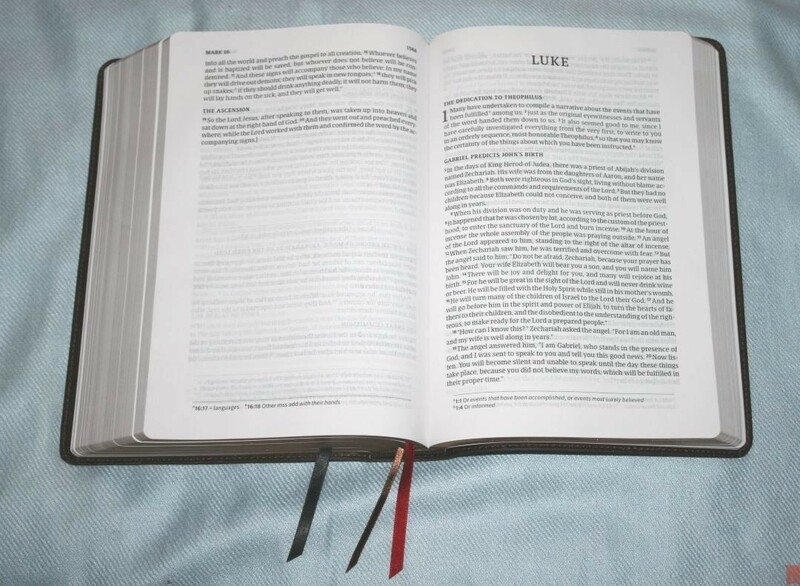 The inner and outer margins are 3/4″. It’s enough room for a few references, symbols, short definitions, bullet points, etc. The thin paper might not be the best for notes, but the space is there and I’d rather write notes there than not – especially considering this isn’t a reference edition. The only references are for quotes in the footnotes. The inner margin keeps the text from bending into the gutter. 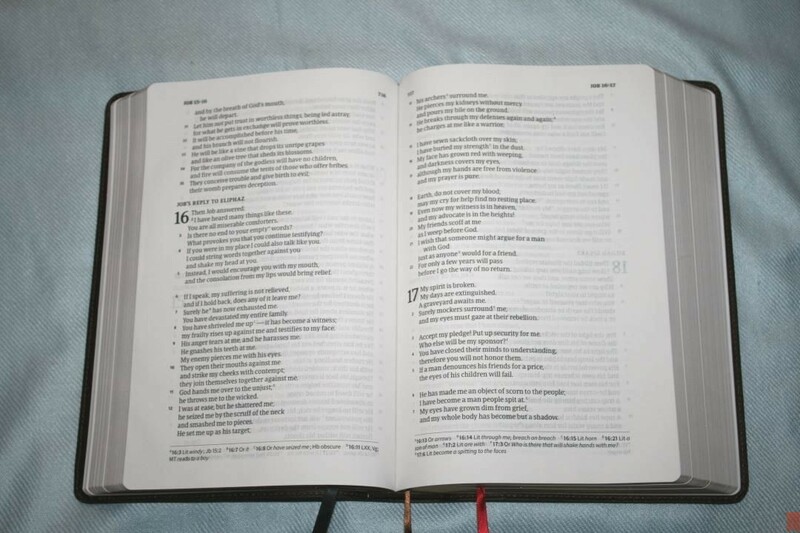 Even in the middle of the Bible the pages lay flat enough to keep the lines close to straight across the page. This greatly helps with reading aloud. This layout is highly readable. The show-through doesn’t both me at all. 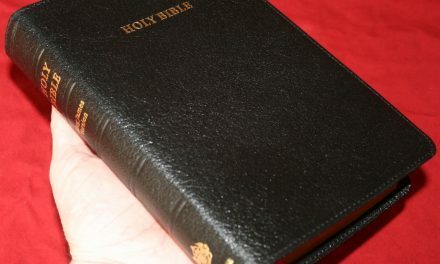 I enjoyed reading this Bible for long periods of time. This is the type of layout I want to have in KJV. Footnotes are placed in the footer and are separated from the text by a horizontal line. 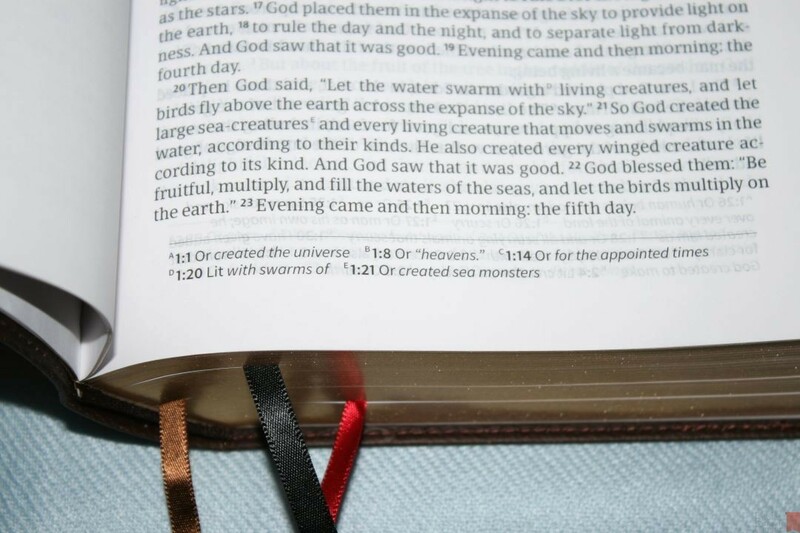 They’re printed horizontally and include the footnote key (a letter) and the chapter and verse number in bold. Even the footnotes are large (9-point) and easy to read. They include manuscript variations, literal renderings, alternate renderings, translation difficulties, where something is quoted from, alternate names, etc. The notes are handy for study. 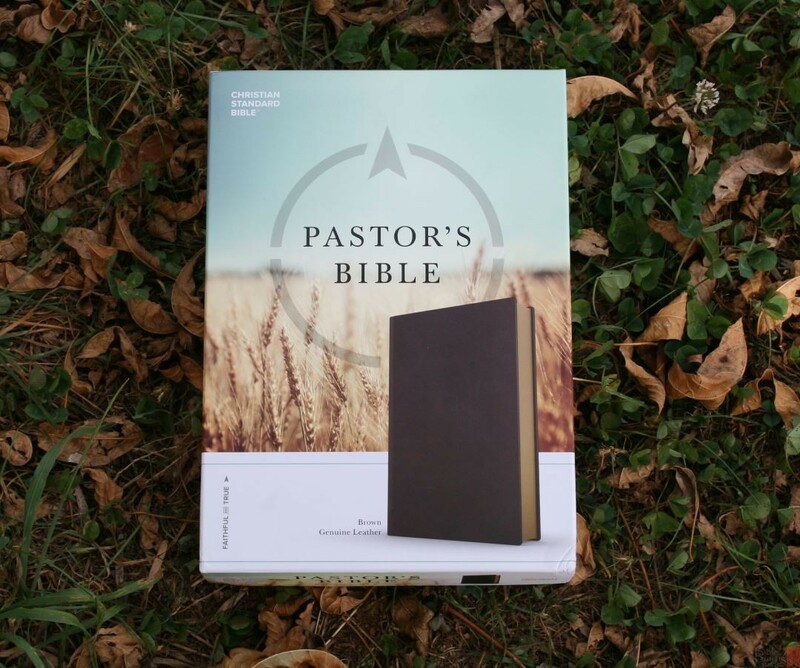 What makes this specifically a pastor’s Bible is the resources. 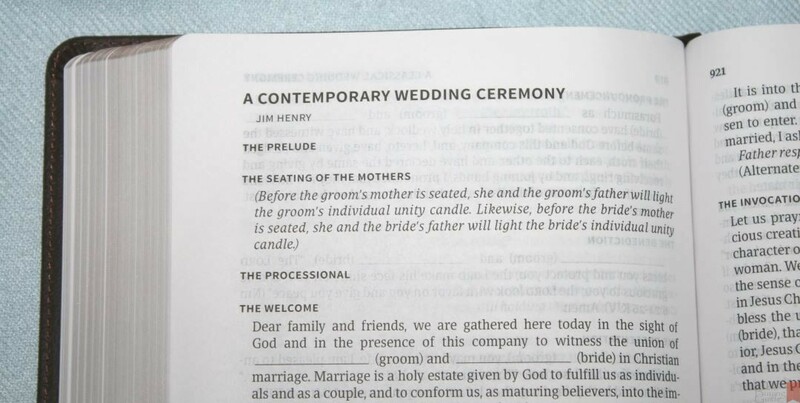 These are articles that serve as guidelines for ceremonies such as weddings and funerals, and articles that provide insights into the pastor’s role and duties, tips on preaching, leading others, etc. Most of the articles are a couple of pages long. 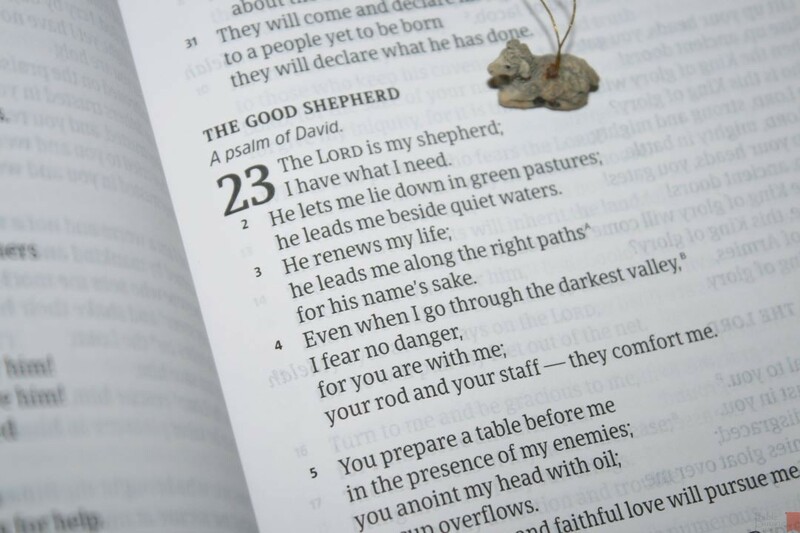 It has several resources printed between Psalms and Proverbs, but most are printed in the back. 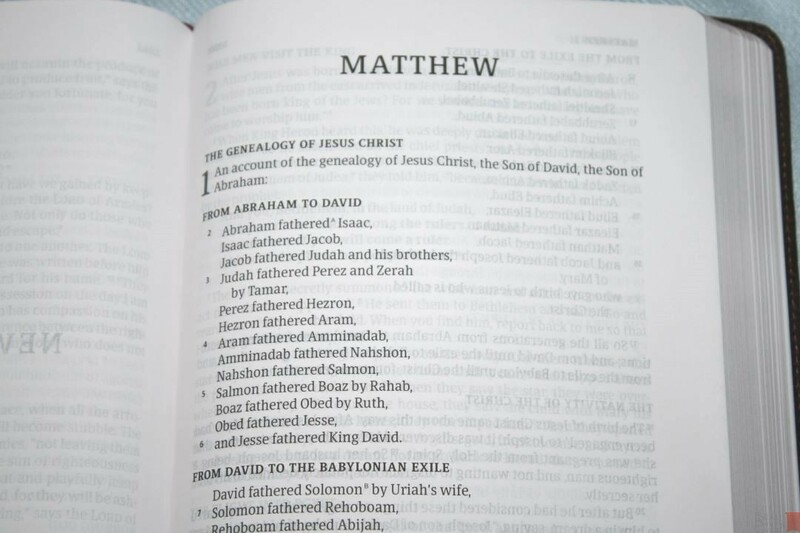 I’m not a fan of having articles between biblical books. I prefer to have them all in the back where I can find them easily and not have to bypass articles to read the next book of the Bible. This is especially the case if I’m preaching. This is just my personal preference. The articles and resources are well-written. I found them helpful and insightful. 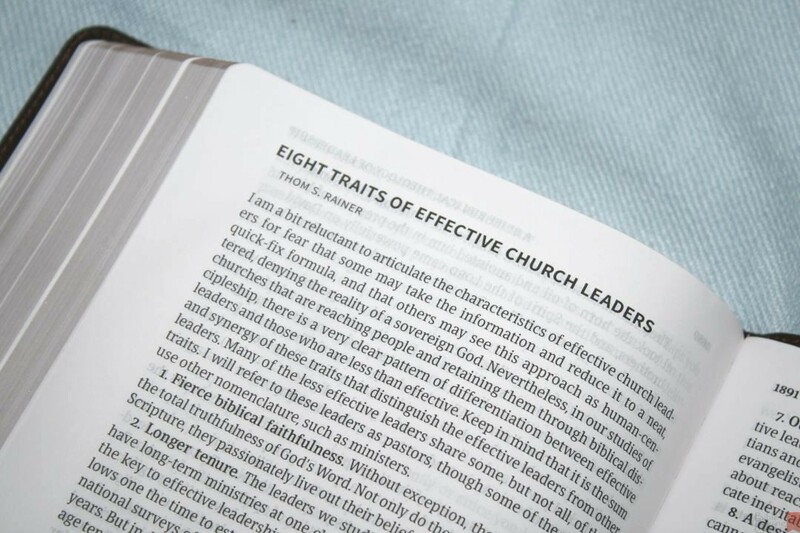 They are especially helpful to those who are new to ministry, but those that have been in ministry for a long time can also benefit from them. 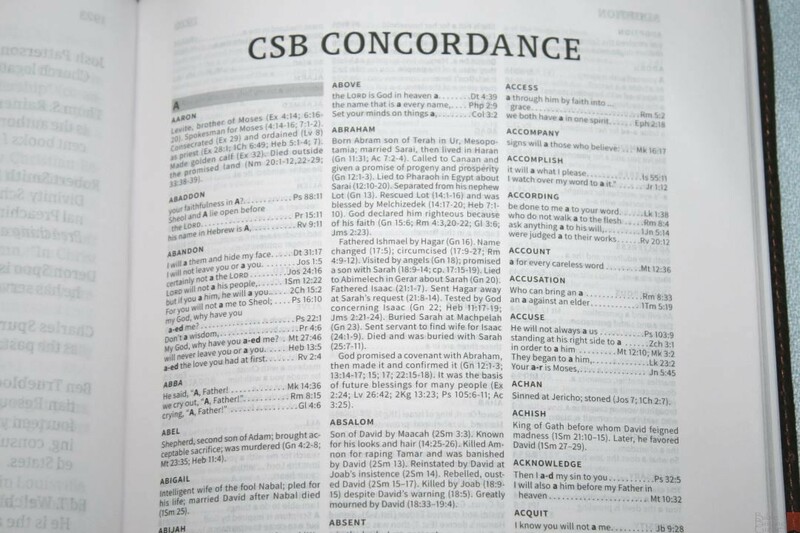 The concordance is 41 pages with 3 columns per page. It includes biographical information, providing some good character studies. 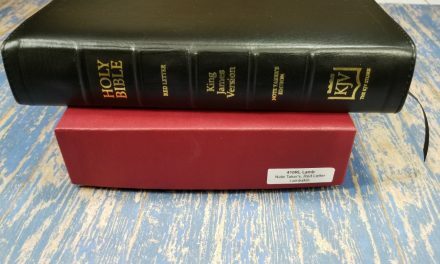 It’s a small concordance for basic study, however, since this Bible doesn’t have cross references it might be more beneficial if it had a larger concordance. 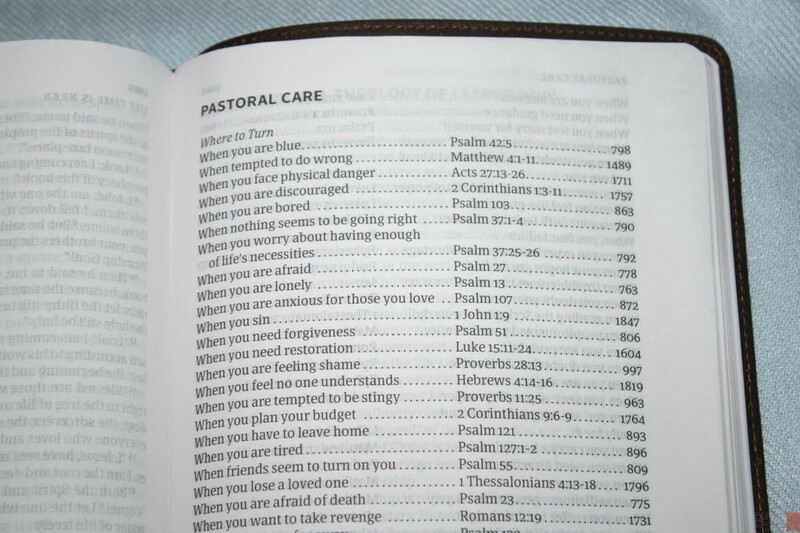 Considering that many pastors use digital tools for study this concordance will probably be fine for most pastors. There are 8 brightly colored maps on thick non-glossy paper. 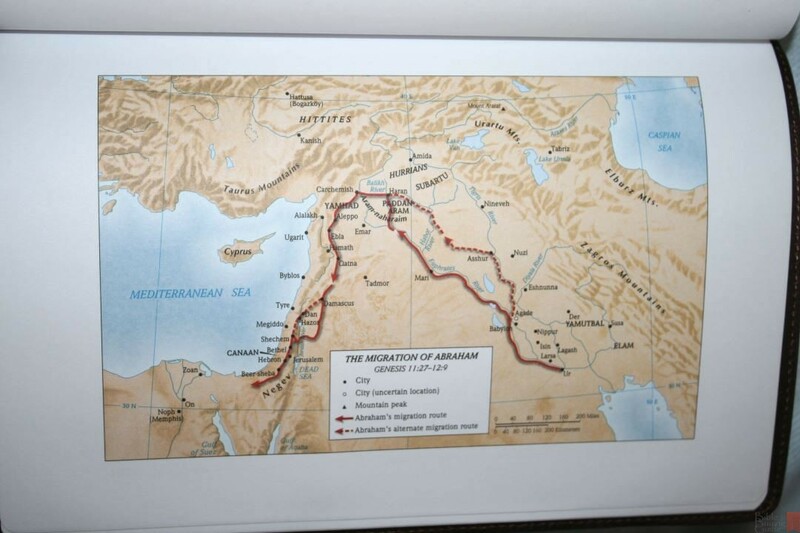 They include cities, mountain peaks, routes, distance, water, Scripture references, borders, roads, locations of events, and a few dates. 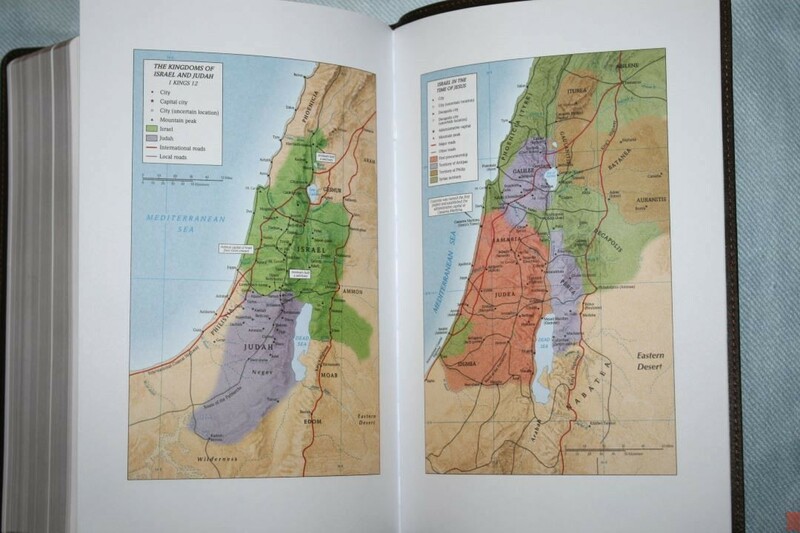 It doesn’t include an index to maps, but they are labeled well and I found them easy to use. 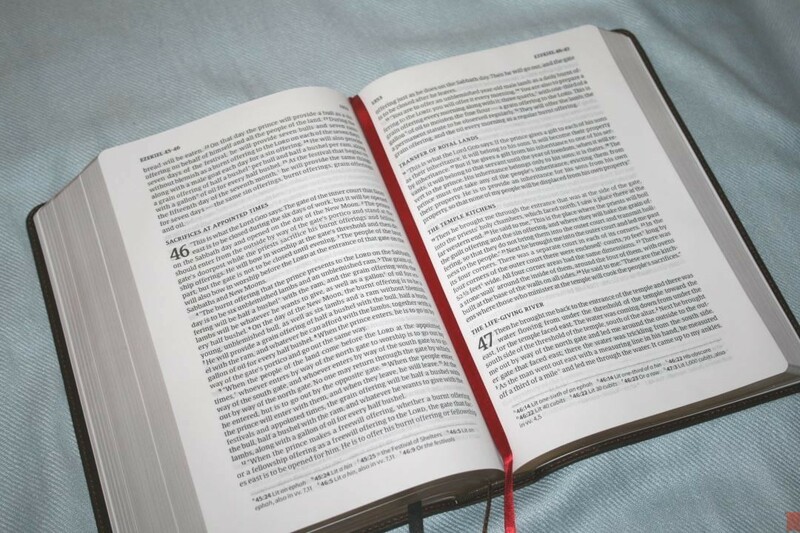 The CSB Pastor’s Bible is an excellent edition for reading and preaching. 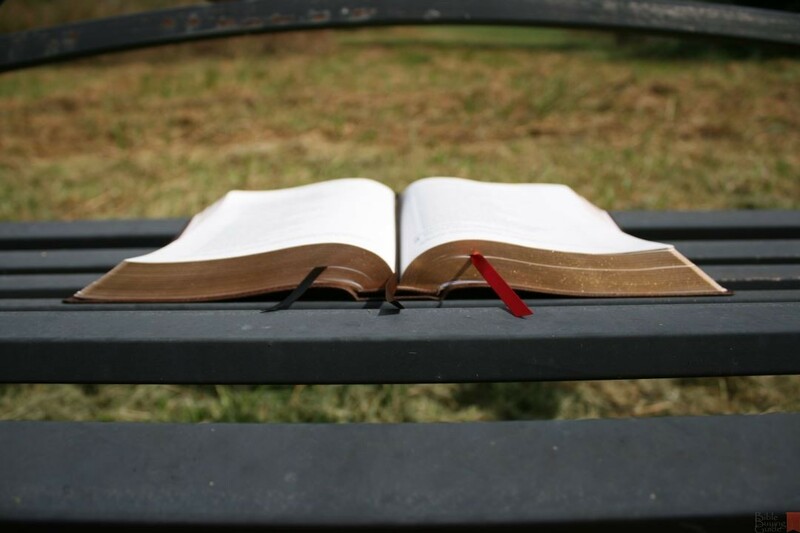 It has very few distractions within the text and the verses are easy to find while preaching. 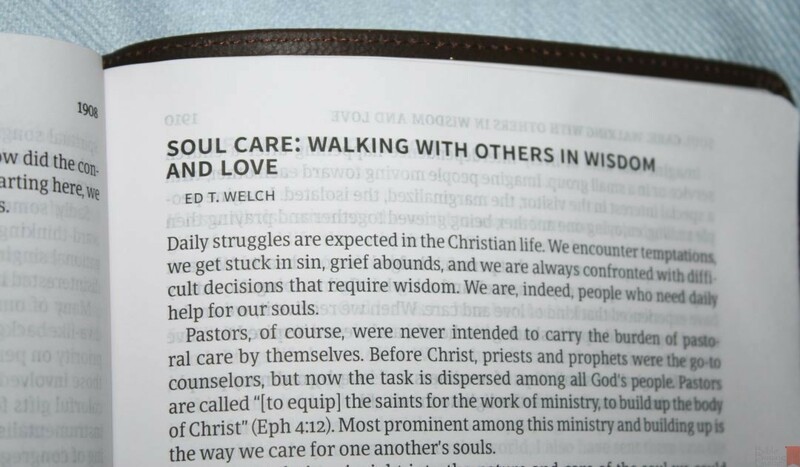 The helps are especially good for those new to ministry, but anyone in ministry can benefit from them. 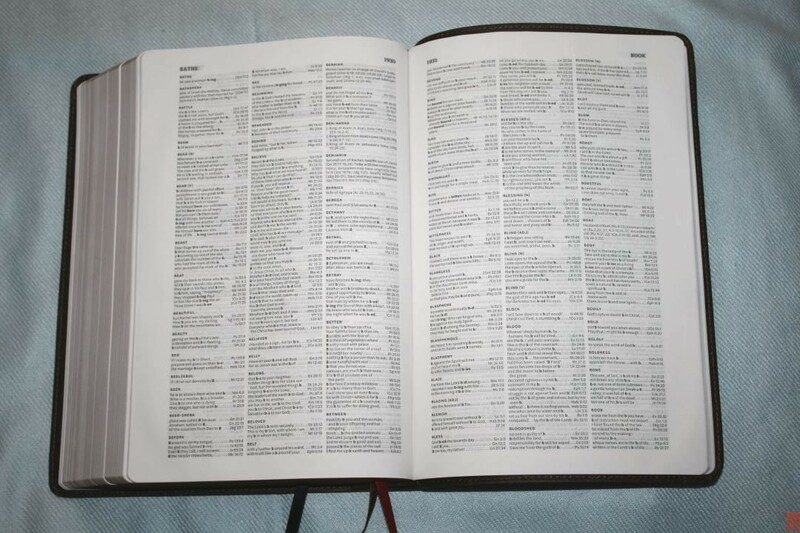 I would like this Bible even without the helps because the single-column paragraph layout in large print is a good design. 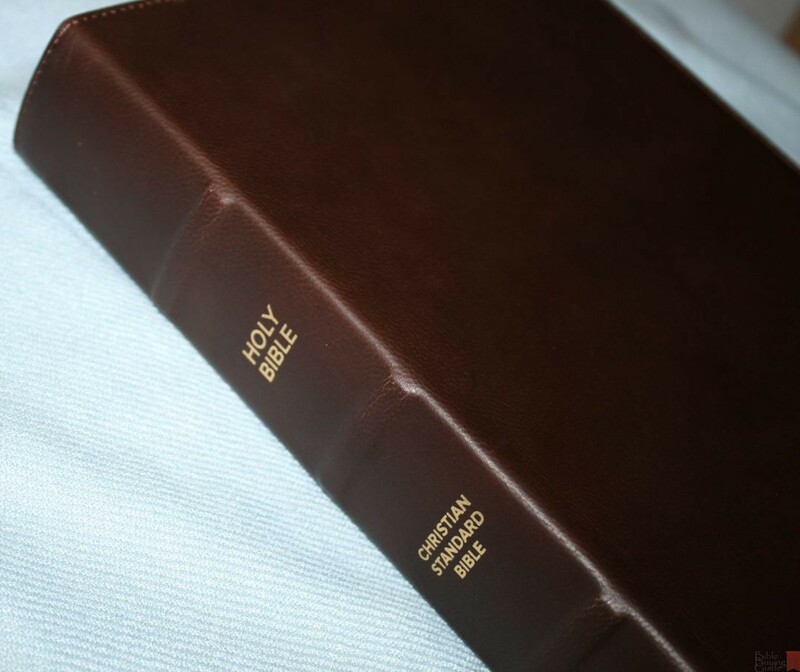 I recommend the CSB Pastor’s Bible in brown genuine leather to anyone in ministry that uses the CSB. I need this in KJV!!! Me too! This is my ideal layout. If anyone made this in KJV I’d shout it from the rooftops. 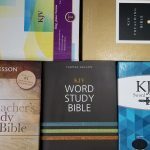 @Tanner: There’s a KJV Minister’s Bible. Here’s the ISBN for the cowhide edition: 9781586409302. The helps seem to be different and more traditional and the margins are wider. 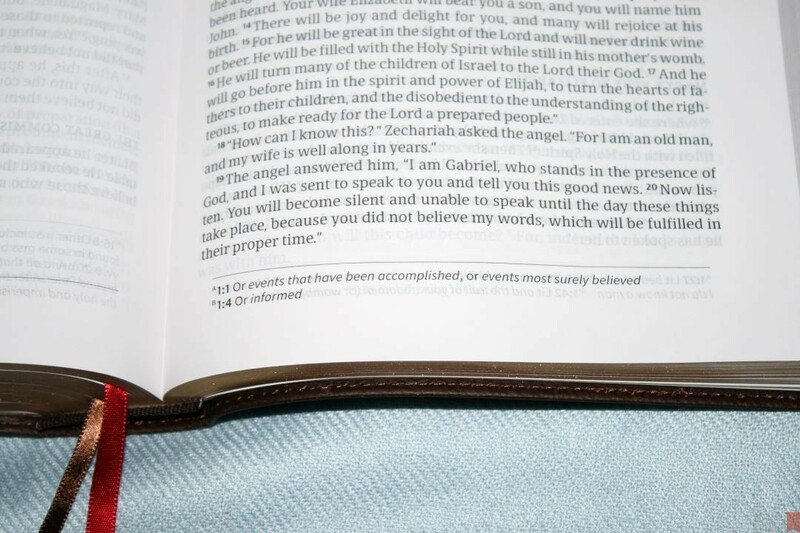 @Randy: Are the typos in 2 Chronicles 2:18 and Isaiah 45:4 fixed? I also agree on the layout! 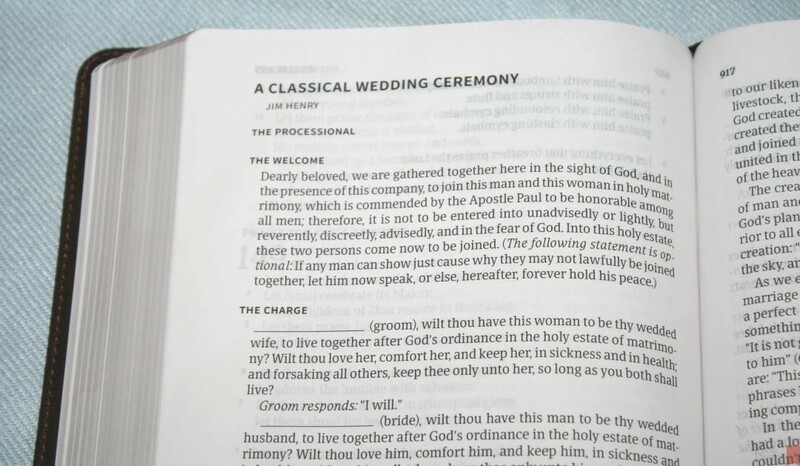 I brought an outreach CSB Testament and I read through it! 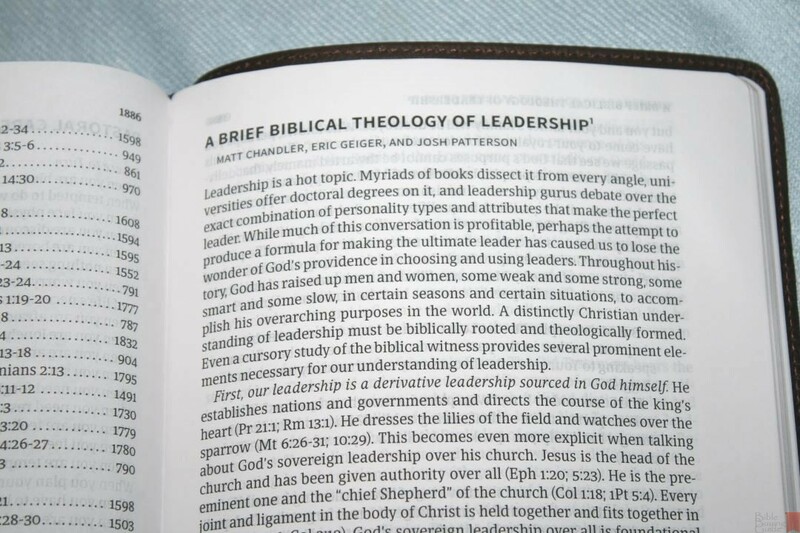 If LifeWay produces something like this in a smaller format without the helps I might get it. Where was the text block printed? Could you elaborate on why you wouldn’t highlight in this Bible? I haven’t tried it yet but I had planned to and now I’m reluctant to try. 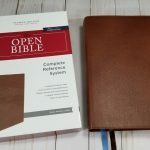 If this isn’t a good CSB to mark up, which other edition would you recommend? Thanks. Hi Jerry. I was afraid of show-through since the paper is thinner that I normally highlight. 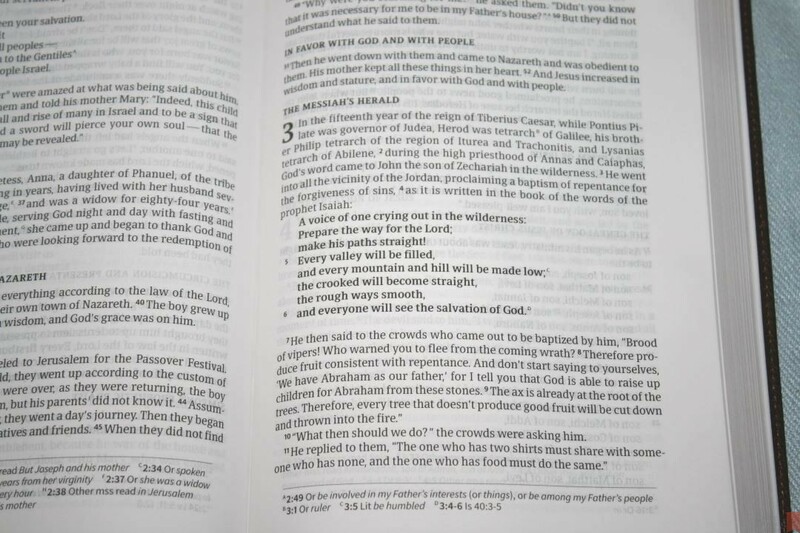 It actually might be okay if you have highlighters made for Bibles. Those that I’ve reviewed recently might be fine. I would test it in the back somewhere before highlighting the text just to make sure. Most of the other CSB’s I’ve seen have thicker paper. 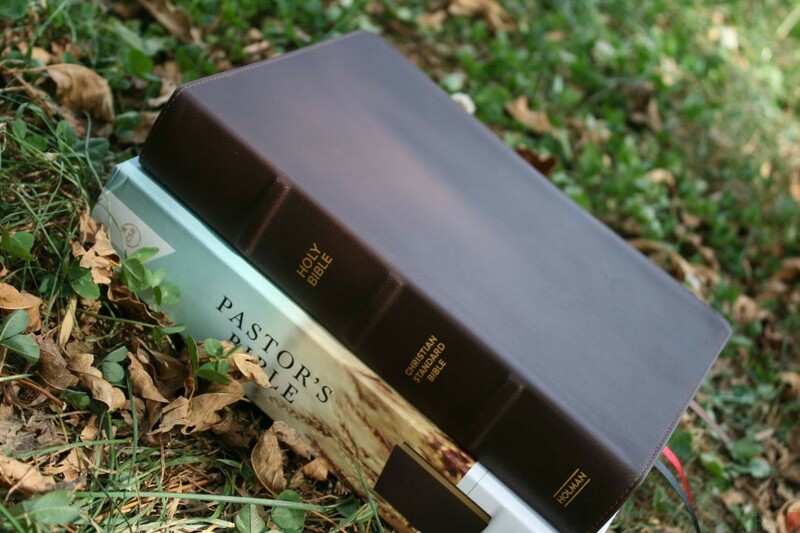 I like the Spurgeon a lot, but the Pastor’s Bible is the one I recommend for preaching. What is you opinion of the three bookmarks? Do you like them or find them annoying? I really don’t like the way they fold the bookmarks into the text when it is boxed up. Hi Ted. I haven’t had any issues with mine. They seem to be placed well in my copy. I like that they’re thin. A lot of wide ribbons might get in the way.